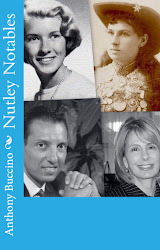 NUTLEY, NJ -- Nutley writer and author Anthony Buccino has published Nutley Notables, the Men and Women Who Made a Memorable Impact on Our Home Town, Nutley, New Jersey. 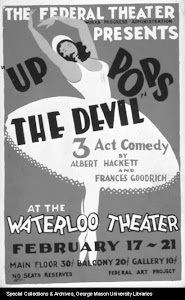 Buccino published more than fifteen books including four essay collections, three military history books and seven full-length poetry collections. He has been called ' “New Jersey’s ‘Garrison Keillor” or something to that effect.’ His poem At The Vet has been nominated for the Pushcart Prize. 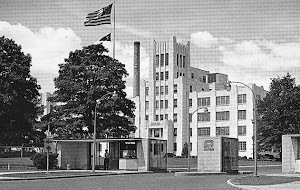 The township of Nutley, New Jersey, has accumulated a wealth of celebrated and eccentric people who over-shadowed the salt-of-the-earth folks who lived here, raised their families and built the town into the place that Norman Rockwell only dreamed of illustrating for the cover of the Saturday Evening Post. 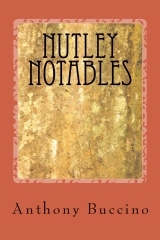 This new book profile nearly 200 townsfolks, some you may know and many you will not forget. Our Nutley Notables include Old West sharpshooter Annie Oakley who has a street here named in her honor; home-diva Martha Stewart who grew up on Elm Place and often writes of growing up in Nutley but has no street named for her; Ruth Bedford who sponsors the annual tea for the Nutley Family Service Bureau, would likely frown upon the undue attention of Rue Bedford; and others who may have to wait a while for street naming honors. Buccino's blogs won 2014 Society of Professional Journalists Excellence in Journalism Awards in Online - Enterprise/Series /Investigative Reporting and Media Affiliated Blog. Both posts were published on NJ.Com. His stories of the 1960s and his transit blog on NJ.com earned earlier SPJ Excellence In Journalism awards.